Pinnas & Needles Repairs By Post - Where There's A Stitch There’s A Fix! Where There's A Stitch There’s A Fix! Don’t live in London? Can't find a repair place near you that is up to the task? Post it to us! It’s simple! Drop us a message explaining what your request is, we will be back to you ASAP with different options & quotes. Only once we both agree on the job, you can post the garment to us. On arrival we will check the garment to make sure everything matches with what we agreed upon. 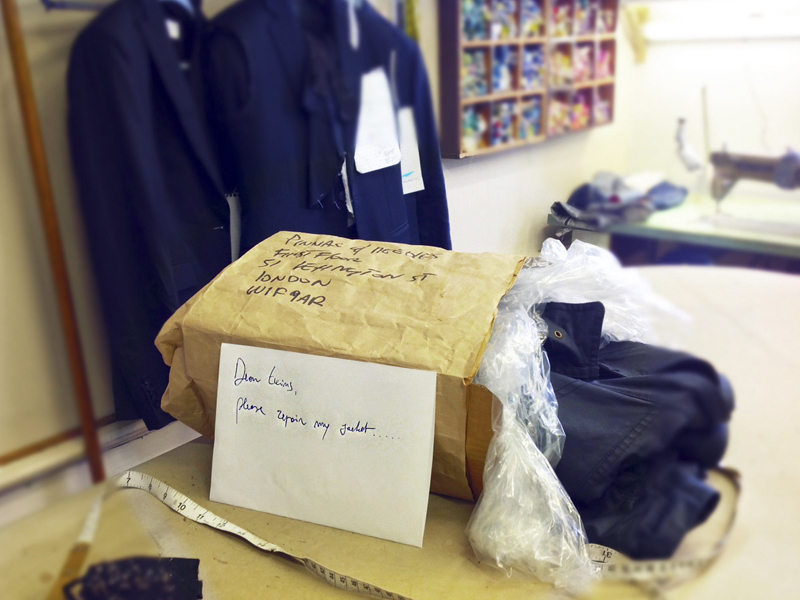 Once the garment is ready we will post it back to you. The payment will be done via bank transfer or over the phone just before sending the parcel.